Dr. John Staley is a native of Idaho and a graduate of Nampa High School . After high school graduation, Dr. Staley attended Brigham Young University and received a Bachelor of Science degree in Biochemistry. 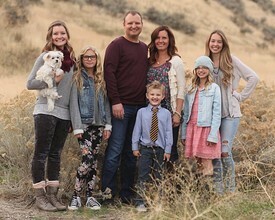 While at Brigham Young, John met his wife Joelle and they now have four daughters and a son. Dr. Staley attended dental school in San Francisco at the University of the Pacific, school of Dentistry . During school Dr. Staley was inducted into TKO the university's honor society. After obtaining his DDS degree, John and his family moved to Boise and has been practicing at Staley Dental Downtown since that time. Please call Dr. Staley at his Boise dental practice if you would like to schedule an appointment today!